You are here: Home / Blog / Soups & Stews / Roasted Brussels Sprouts Cauliflower Soup – Oh Yum! 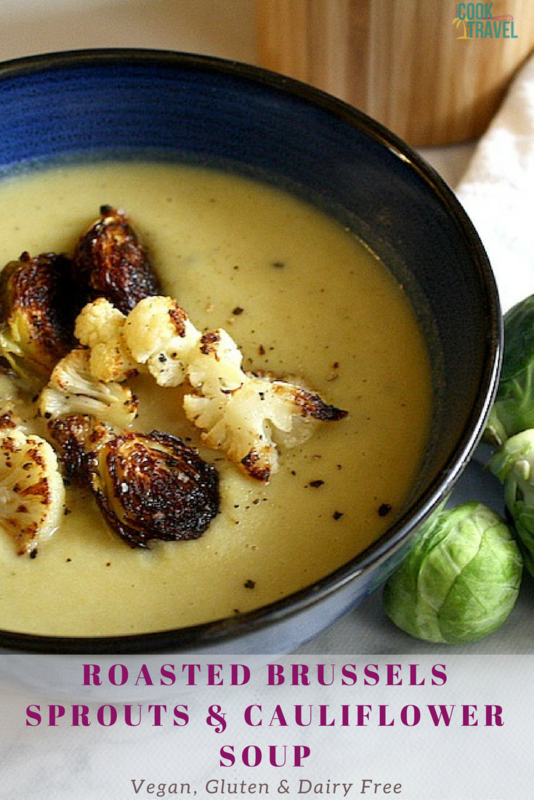 Roasted Brussels Sprouts Cauliflower Soup – Oh Yum! Guys, I’m kinda obsessed with Brussels Sprouts. I know they get such a bad rap, but I sense that people are starting to realize how delicious these cute veggies can be. 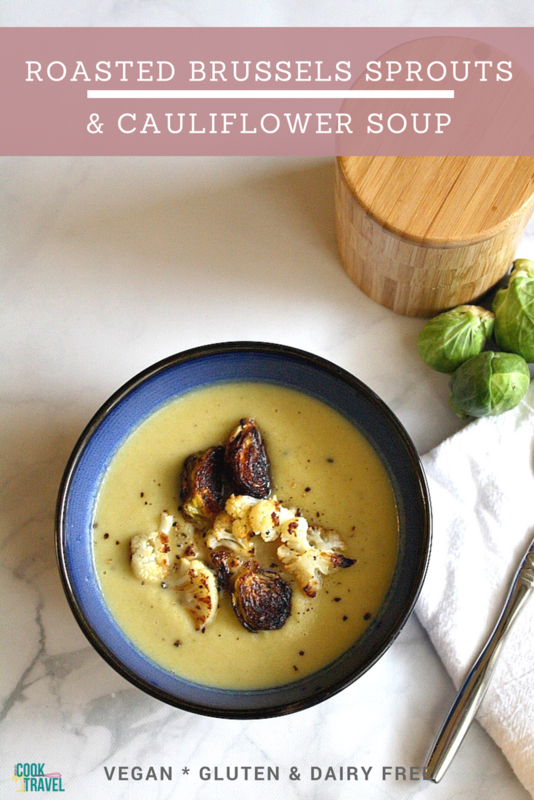 I’ve made so many brussels sprouts recipes over the years on my blog, and when I saw this Roasted Brussels Sprouts Cauliflower Soup, I had to know more! What I found was that with 1 tiny tweak it was dairy free, which I’ve been leaning towards more this year. And I have to say, it’s surprisingly delicious to do. For me the hardest part is eating out and avoiding dairy, so I’ll be real with you that I don’t always avoid it. However I do slightly regret how I feel after said dining experiences. Here’s the thing: I really love cheese (sharp cheddar and goat cheese especially) and ice cream. So I won’t ever cut them out completely but I’m happy to limit them to a special occasion kind of thing. Plus I’m definitely keeping my eye out for reasonably priced dairy free ice cream. If you have a favorite brand, comment below and tell me! I’ve seen a few in local stores in KC, but I hate to fork over so much for so little ice cream. But I may bend and try some this month, so I’ll keep you posted if I do. As for cheese, well I have some nutritional yeast on its way that I think can add a cheesy flavor to some dishes. So I’ll definitely be experimenting with that ingredient in the future too. It’s a new cooking world for me cooking like this, but it’s also kinda fun. But back to this glorious Roasted Brussels Sprouts Cauliflower Soup! Just roast the cauliflower and Brussels sprouts with olive oil and salt and pepper until they’re lovely and browning. The brown bits mean that they will be jam packed with flavor. While they roast, soften some diced shallots in a little (dairy free) butter, and then add your liquid and let it simmer. I went with a chicken stock because I had it on hand, but you can use a chicken broth or vegetable broth. I found the stock to be more flavorful than broth, which is pretty great in this very simple soup. Add the roasted veggies to the soup, but be sure you reserver at least a cup of veggies for topping the soup. Then been until the soup is smooth, and you can use a blender or a hand-held blender. I prefer the latter because it’s way easier and less messy to clean up than with a blender. Plus if you use a blender you need to blend it in batches. Whereas with the hand held blender, it’s done right in pot on the stovetop. This is such a fun kitchen gadget, and I fondly refer to it as a “boat motor” because it sounds like one as you run it. That’s it! Season the Roasted Brussels Sprouts Cauliflower Soup with salt and pepper. Then serve it topped with some roasted veggies and freshly ground pepper, and dig in. The flavors are so clean, and you get a slightly smokey taste from the veggies to add character. Be sure you’re seasoning as you cook, and taste the soup first before serving to see if it needs more salt and pepper. You truly can’t get much healthier with this delicious soup. One tip that I discovered is to divide the veggies between two pans when you roast them. And if you can have at least a cup of the vegetables on one cookie sheet, then you just add the other cookie sheet to the soup. Then you automatically have the vegetables you’ll use for topping separated. So much easier! This soup is not only simple to make, but it’s also really fast. So it makes for a perfect week night meal. I easily made this over my lunch break with time to spare, and that is always a major plus in my book. Simple, healthy, quick and easy, and gluten and dairy free. Score! 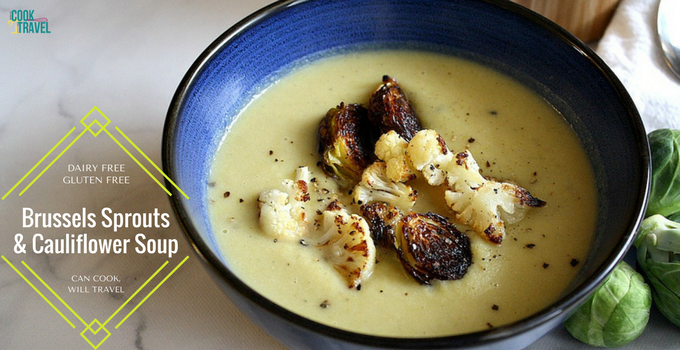 You just have to try this Roasted Brussels Sprouts Cauliflower Soup ASAP for a fast & uber healthy meal. Click that link for the step by step instructions and recipe! Happy blending! 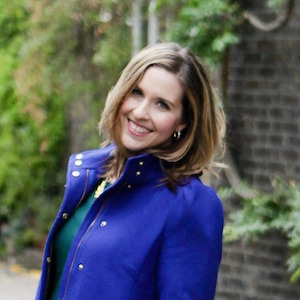 One year ago: Roasted Sweet Potato and Bean Quesadillas – Why Hello! Two years ago: Southwest Fajita Chicken Wraps . . . That’s a Wrap! Two years ago: Spicy Pasta with Sweet Potatoes . . . So Freaking Good! Four years ago: Shrimp Penne Bake . . . It’s Lighter Than You Think!